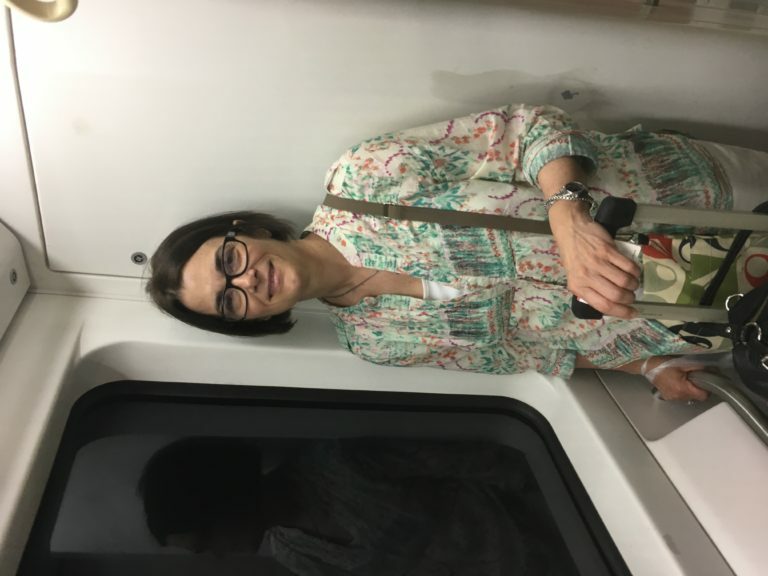 During our first subway ride in Beijing, I noticed many design features including signage, elevators that were easy to get to, and designated and well-marked spaces for wheelchair users and other with physical needs near the doors. On our first morning in Qingdao, while on an early morning (thank you, jet lag!) 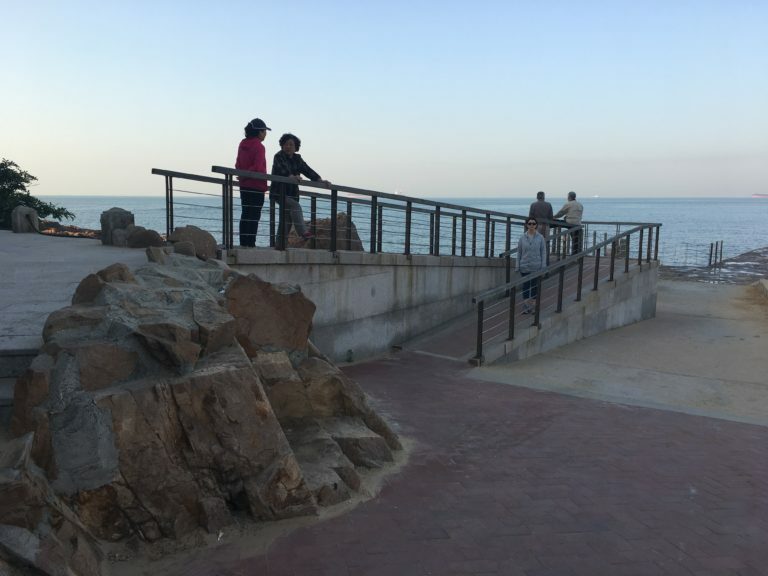 walk on the beach and nearby neighborhood there was a ramp to a walkway pier and curbs that had been made accessible in the neighborhood. 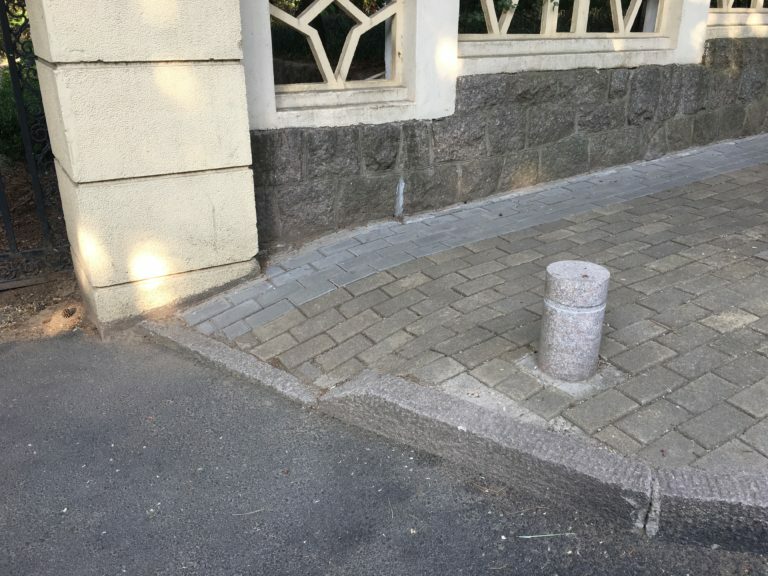 I noticed a few people out in the community using manual wheelchairs in Qingdao, mostly children and older people with what appeared to be family members.